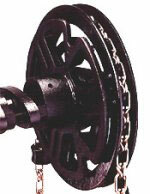 Standard Chainwheels are our most economical model for operating valves in high, normally out of reach locations. 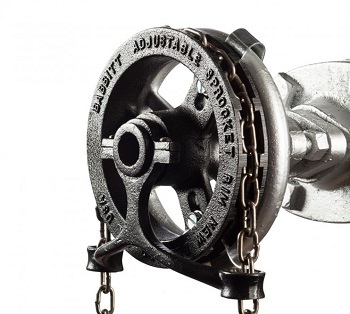 Chainwheels easily attach to the hand wheel of valves ranging from 2”-36” in diameter. 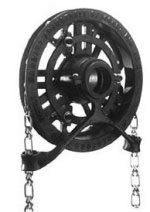 Solid Hub chainwheels control overhead valves by mounting directly to the valve or gear operator stem which eliminates the need for valve hand wheels. Cast Iron is our most economical material. It is recommended in mildly corrosive environments. 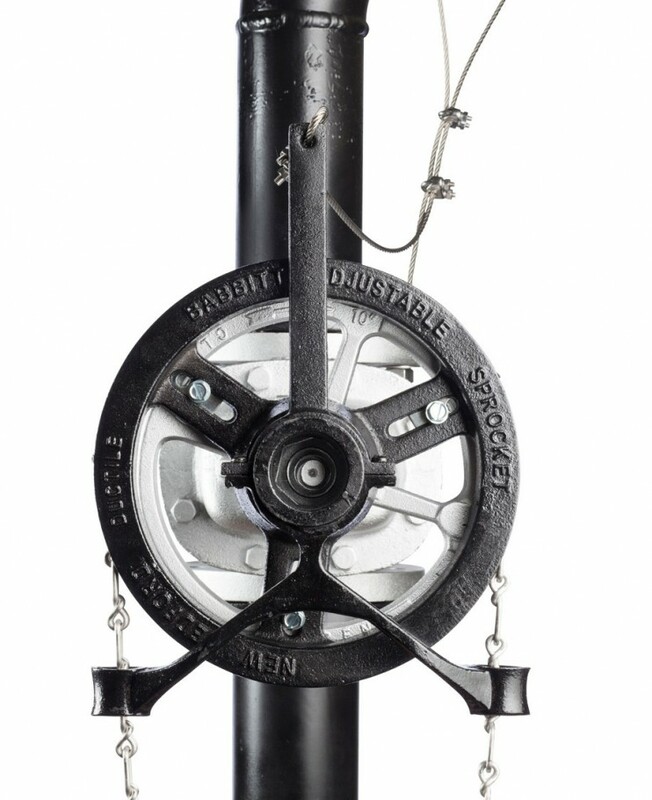 Ductile Iron is more shock resistant than cast iron and is required for conversions to a hammer-blow style wheel. Aluminum is a light weight alternative that comes with a stainless attachment set. 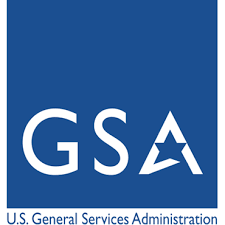 Bronze will resist corrosion under severe operating conditions where high humidity, salt, and water are the main corrosive agents. 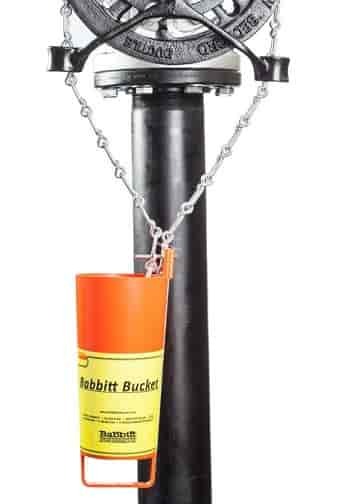 It is used where equipment is exposed to extreme corrosive elements and comes with a stainless steel attachment set. 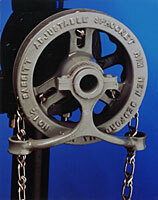 Corrosion Resistant is recommended when the chainwheel will be exposed to a corrosive environment. 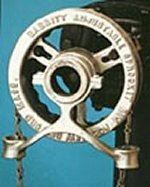 Available coatings for the chainwheel and all components are epoxy and galvanized. Both options come with stainless steel attachment sets. 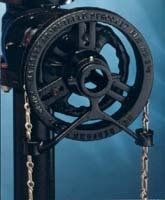 Attachment instructions for installing the chainwheel to the hand wheel of the valve. Hammer-Blows make it easy to control high-pressure valves from the floor in out-of-reach locations. The “hammer” action makes opening or closing sticky valves easier for an operator of any size without damaging the chainwheel or valve. Ductile Iron is more shock resistant than cast iron and is required for hammer-blow style wheels.